If you haven’t planned Thanksgiving, I highly recommend giving yourself a pass. Last year, instead of sitting around stuffing our faces with stuffing, we rode our bikes in the desert. You might be like us. We chose to live in Colorado, a place where we didn’t grow up. No one followed us out here, so there’s no immediate family to make a turkey with on Thanksgiving. 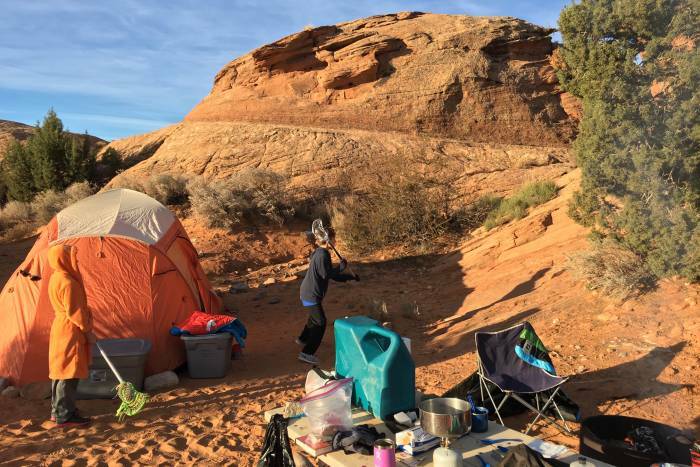 The slickrock bounceback: the new way to practice lacrosse in the desert. 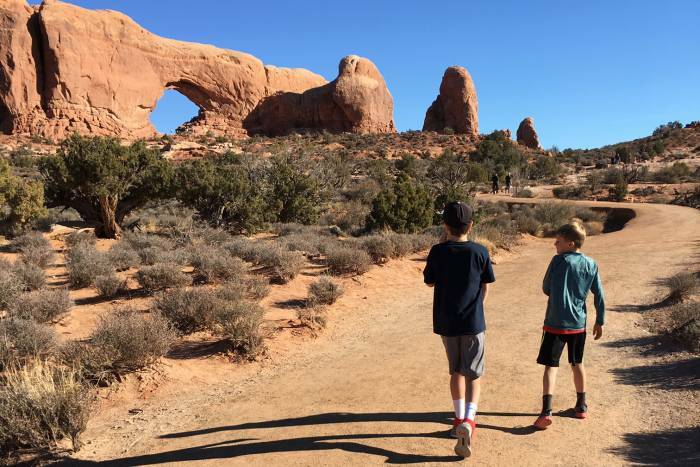 After all, wild places and outdoor adventures are really what our family is really most thankful for. 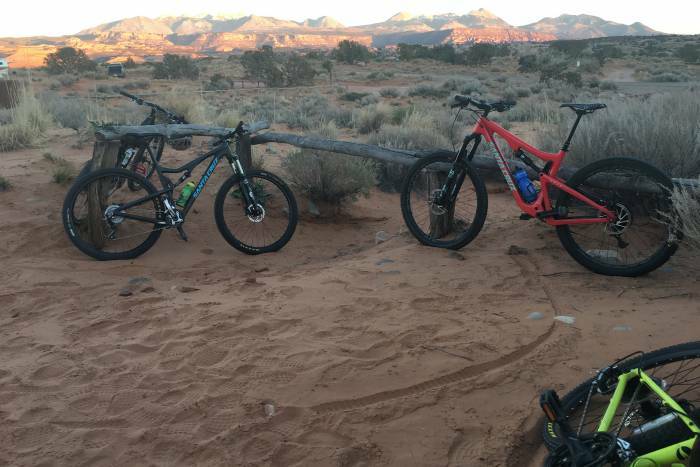 So we hitched up the bike rack and drove to Moab to introduce our kids to riding on slickrock. We explored new trails and camped, even though it got a little cold and I slept in the Tacoma. And we ended up at a nasty buffet for a Thanksgiving meal. In retrospect, turkey dogs over the fire would have been just fine. We were together. And we were outside. In case you are thinking about giving yourself the same last-minute, relatives-free treat for the holiday or making a new tradition with friends or family, I thought I’d share some tips about what worked for us to make the most of it in the outdoors for Thanksgiving. We did the desert, but it doesn’t have to be a warm destination. 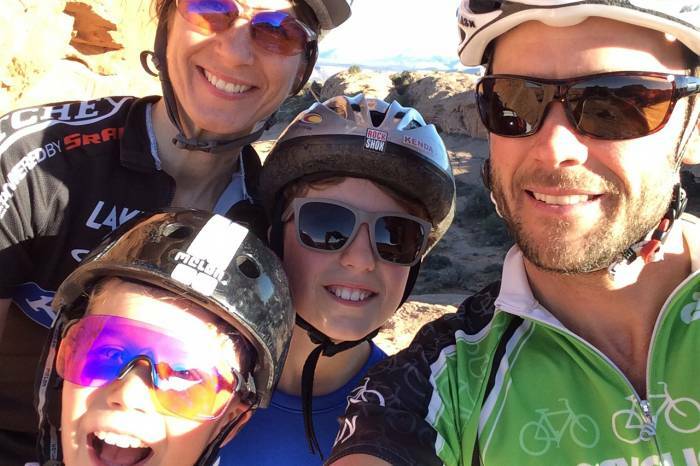 Moab was the ideal distance and allowed our family to ride bikes even on the cusp of winter and still sleep under the stars. You want a place you can take your gear to play, right? You could do a quick search for an Airbnb with access to a national forest. 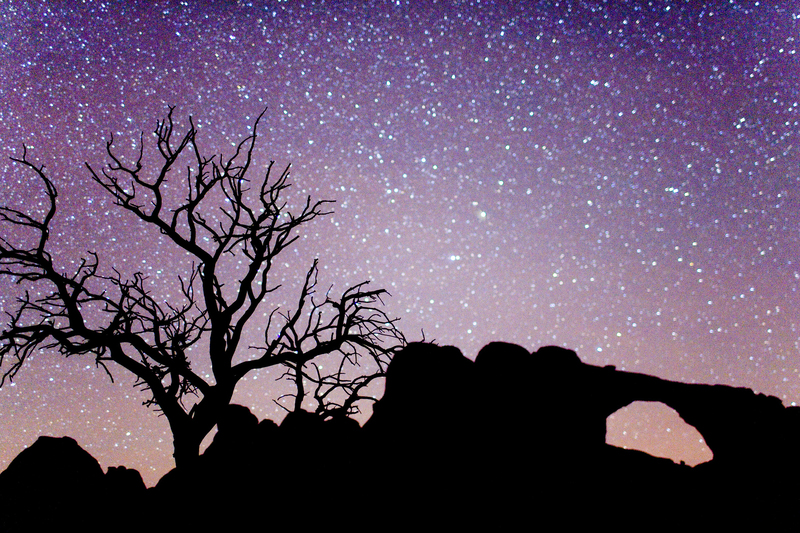 Moab, for example, is adjacent to Arches National Park. Many rentals (and public places) will be vacant this time of year as families gather in their own homes for Thanksgiving. 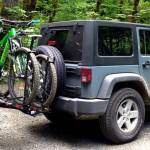 Or try checking with friends in outdoorsy towns who might be traveling for the holiday. See if you can take over their house to explore a new destination and nearby adventures during the shoulder season. Hint: Throw in a pet-sitting offer. November is a weird time of year out here. In Colorado, it could be snowing one day and 70 degrees the next. 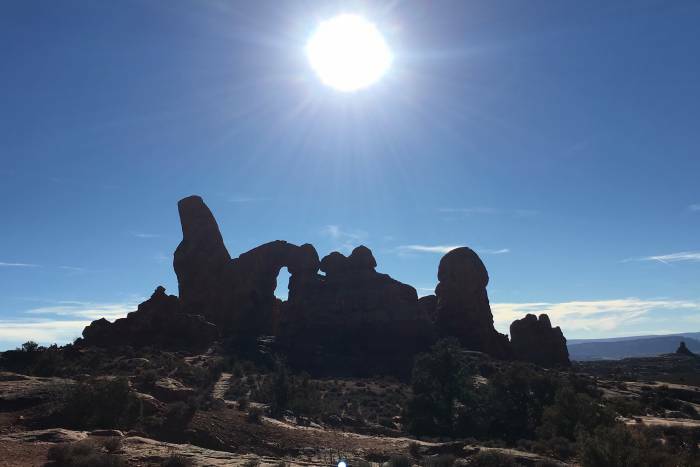 In Moab, it was in the high 60s — and perfect. And that’s the best thing about waiting until the last minute for an outdoor Thanksgiving. You can see the 10-day forecast and plan around it. We packed lots of layers for biking, hiking, and playing at the pump track. We shed them as the sun burned down during afternoon rides. But temps quickly turned chilly, even around a desert fire. The beauty of car camping for Thanksgiving, though, is you can load up everything you might need during this finicky time of year. Even though you’re ditching tradition, it’s still worth the effort to share a meal on Thanksgiving. That could mean turkey dogs over a campfire. It could be fried turkey legs and a beer after a huge outdoor effort. Maybe even some farm-fresh squash or whatever food you like in fall. It’s just important to share it. Even better, though, is eating outdoors. Make or buy a feast for the fresh air. I promise, a Thanksgiving outdoors is one you won’t forget, for better or worse.